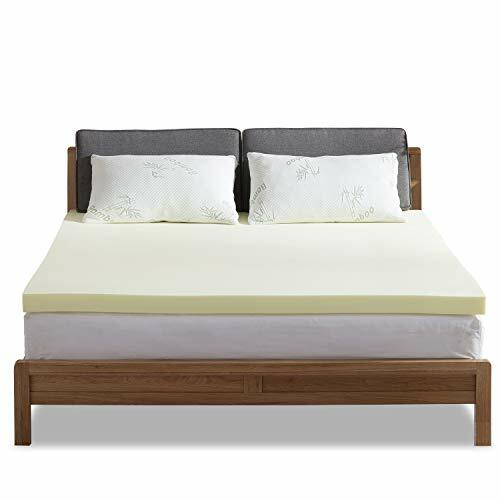 Comfortable： Add a memory foam topper to make your existing mattress more comfortable. Also suitable for camping and caravan. Evenly distribute pressure： Memory foam can distributes our body weight evenly and wrap our curves to alleviate pressure points. Memory foam is extremely soft： It can effectively reduce the noise of tossing and turning then keep sleeping silence. CertiPUR-US certified memory foam： It can protects against dust mites, allergens and bacteria from kids, pets, allergies, asthma.